THE HOME HEATING COMPANY THAT CARES ! HERE'S What's New! PennyWise Fuel's Digital Smartphone Platform Provides easy access to place orders and make payments for all our customers. Instant Order Placement and Payments : Instantly check rates and availability of a delivery and place orders. Inbox : Invoices and statements can be viewed in our inbox and payments can be made directly. Secure Smart Payments : All payments are routed through a secure, encrypted payment system protecting your personal information whether its an EFT or Credit card. Dispatch : PennyWise Fuel has delivery trucks throughout the Pocono region 5 days a week and emergency deliveries 24 hours a day, 7 days a week. PennyWise Tank Monitor : Automatic customers can view approximate tank levels and delivery dates. Trending : Seasonal specials, promotions, special offers, and discounts are available. Service : Our service technicians are certified, provide cleanings and installations, including 24 hour emergency service for all your heating equipment needs. Notifications : Please enable notifications on your smartphone for order placement, dispatch, delivery, payments and trending for promotional, seasonal specials. Refer & Earn : Refer your friends and neighbors and earn our best seasonal discounts. HERE'S What's New! PennyWise Fuel's Digital Smartphone Platform gives easy access to place an order and MAKE payments for all our customers! You can also Download our SmartPhone Apps for faster access. Please download our SMART PHONE app for your IPhone and Android by clicking on the Icons below, THIS will prompt you to enter your mobile number and a direct link to app store will be sent to your smart phone directly. You can download and login using the same Email and Password or Sign Up using our ONE TIME PASSWORD sent to you. For Existing Registered Online Customers ! Please download our smart phone app for your IPhone and Android by clicking on the Icons which will prompt you to enter your mobile number and a direct link to app store will be sent to your smart phone directly. You can download and Login using the same Email and Password or Sign Up using our OTP sent to you. 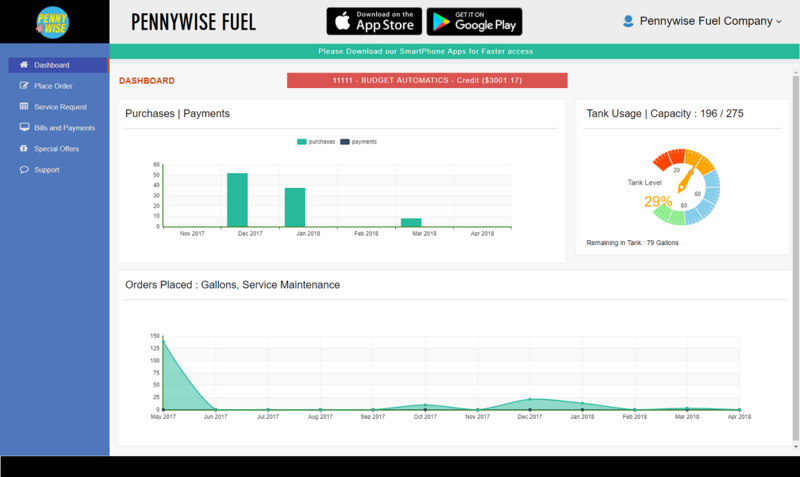 Heat up and stay warm with Pennywise Fuel: Pennywise Fuel's digital smartphone and cloud platform provides easy access to place orders and make payments for all our customers. Please download our Smart Phone app for your IPhone and Android phones, https://pennywisefuel.com/iphone, https://pennywisefuel.com/android - check available delivery dates, place orders and pay instantly through Credit cards, EFT and Digital Wallets. Please use our One Time Password that we sent you for sign up. Please call us for any assistance for signup with our Digital Platform. Thank You! Happy Holidays! Happy Holidays! Please Check Your Fuel gauges & Plan for the Holiday! Pennywise will close at 1pm on Christmas Eve and New Years Eve. Pennywise will be closed on Christmas Day and New Years Day! Propane is not just for gas grills. Propane is not just for gas grills anymore! Keep your piggies warm this season! Pocono Record - 2018 Readers' Choice Award - Vote for Us! Pocono Record - 2018 Readers' Choice Award - It’s time to vote for PennyWise! Votes can be placed between September 17 and September 30, 2018. 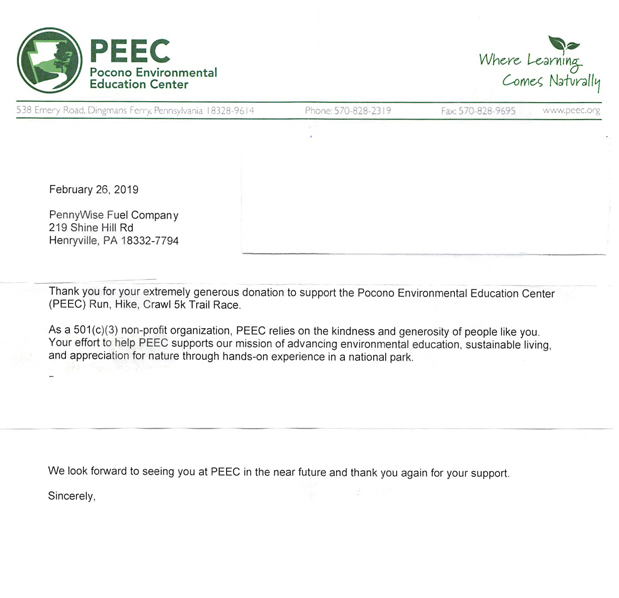 Thank you for nominating Penny Wise Fuel! Simply choose Professional Services category and then select Oil Company and then again select Propane, place your vote and fill in your email address. A message will appear to show you VOTED! Your continued support is greatly appreciated!! Last chance to vote !!!! 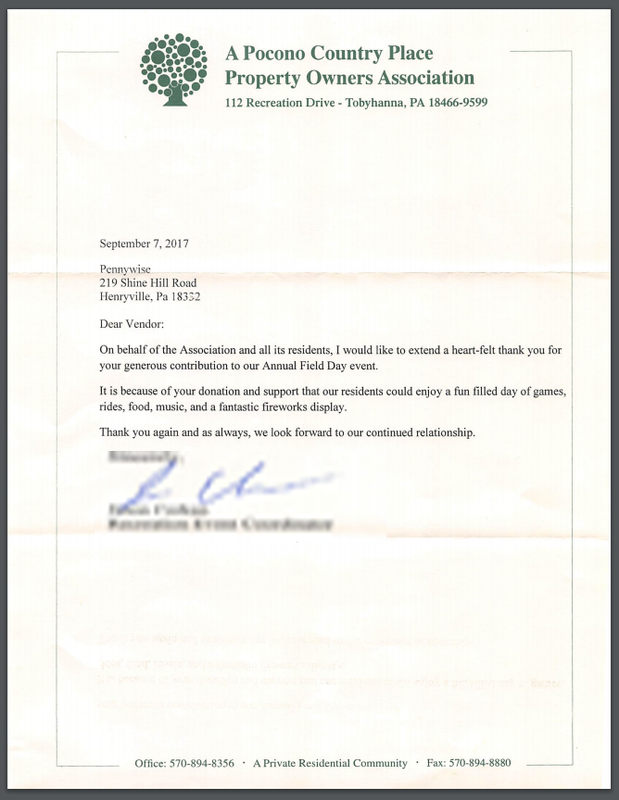 Pocono Record - 2018 Readers' Choice Award - Have you voted for us? The nomination period starts 8/13/18 and ends 8/26/18. It's that time of year again!!! 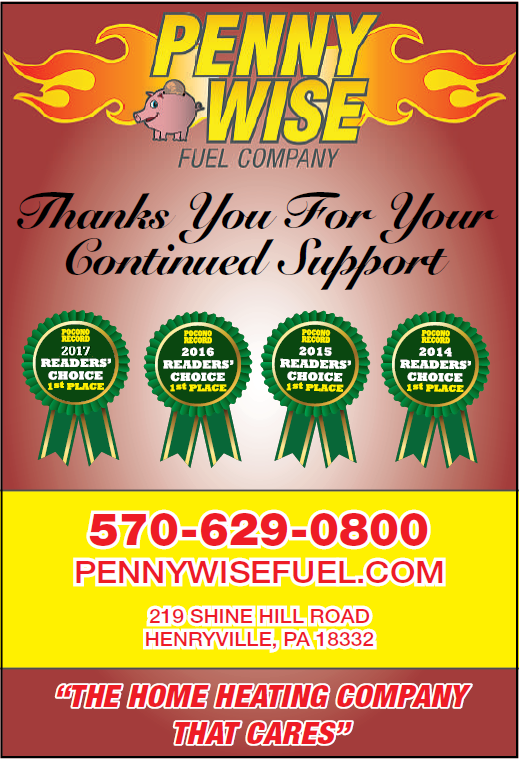 Please nominate Penny Wise for your favorite Oil & Propane companies under Professional Services so we can win again!!!! 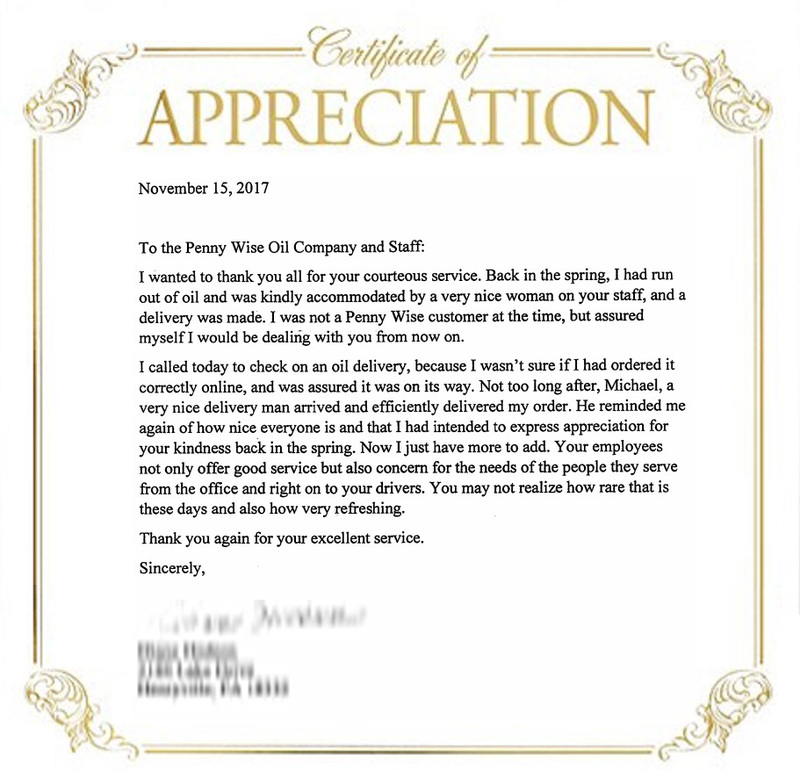 PENNYWISE FUEL Delivers Courteous and Excellent service! 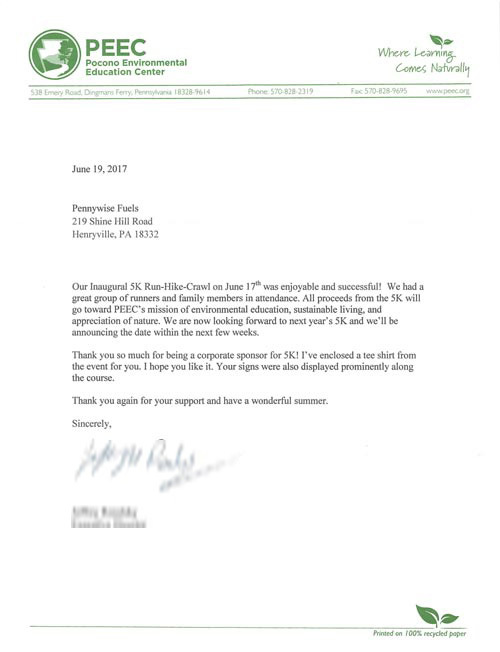 Customer Appreciation for PENNYWISE FUEL's Courteous and Excellent service! Save on Propane deliveries. Our easy budget plan helps keep you on track with a "no surprise" monthly payment plan. Propane provides more versatility, affordability, and comfort than any other heating choice – it’s that simple. This combined with the efficiency of propane heaters, stoves and other appliances make propane an environmentally friendly choice for your commercial and household needs. We have sent a link as a text message to your smart phone to download our app from App store. Thank you!! We have sent a link as a text message to your smart phone to download our app from Play store. Thank you!! © Copyright 2019 pennywisefuel.com All rights reserved.